Formula 1 uses 13" wheel rims for decades. That dictates a very high profile tire, highly dissimilar to any other sports/race car. F1 cars are designed in such a way in order to use the tire as a suspension medium and the vehicle dynamic variables are heavily dependent on the properties of the tire. The behavior of the tires themselves is also very dependent on physical properties like pressure and heat. 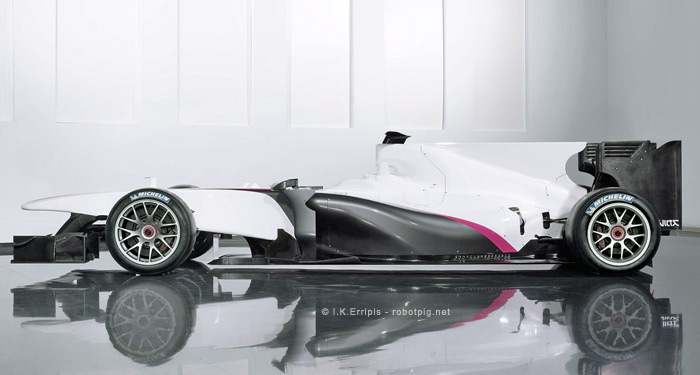 A switch to 18" low profile tires will of course stir the balance between the teams because they all will have to redesign their cars from scratch. The new wheels will alter the dynamic behavior, the traction characteristics or even the aerodynamic attitude of the car. The lower profile tires will enhance the role of the suspension and overall the dynamic behavior of the vehicle should be more predictable and also more relevant to the automotive technology progress. 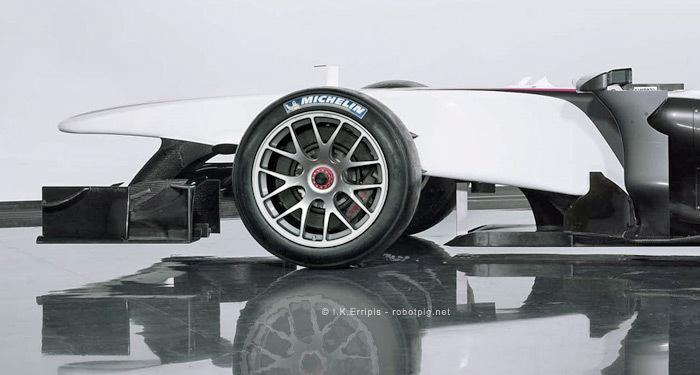 18" wheels are already being used in endurance racing where the cars may be heavier and slower than F1 but not much different conceptually.